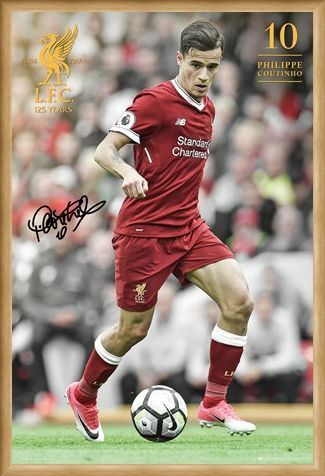 The fans at Anfield call him the "Little Magician", of course they are talking about the midfield genius that is Phillipe Coutinho. 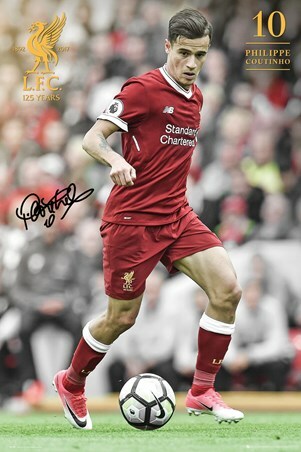 This amazing poster from Liverpool FC features the Brazilian dynamo as he battles for the ball in front of the Kop. If you are a fan of one of the world biggest footballing teams and love Coutinho, then this is the perfect poster to hang on your wall. 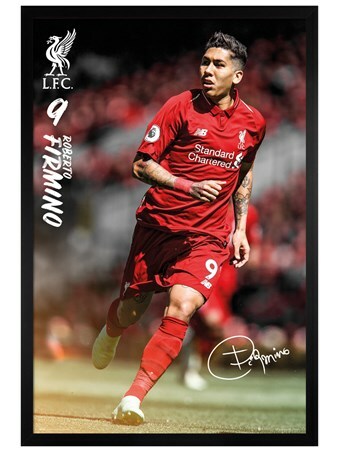 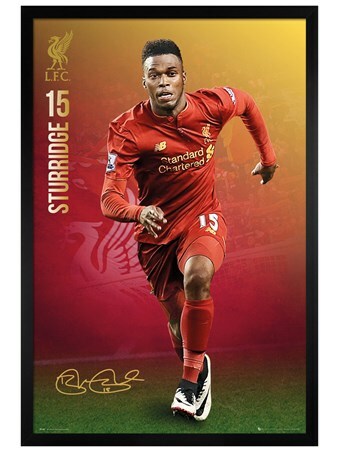 Featuring his replica signature, this poster is a must have for any LFC fan out there. High quality, framed Coutinho 17-18, Liverpool FC poster with a bespoke frame by our custom framing service.